We loved Kate's style on her recent tour of India - and the good news is, it's easy to steal some of her looks for less on the high street. The Duchess of Cambridge wore this beautiful blue and white dress for her visit to the Taj Mahal. We think it's oh-so classy - but not all of us can afford its £2,200 price tag! Luckily we've found this equally lovely Ariel Lace Dress (£120/6-18) from Phase Eight. 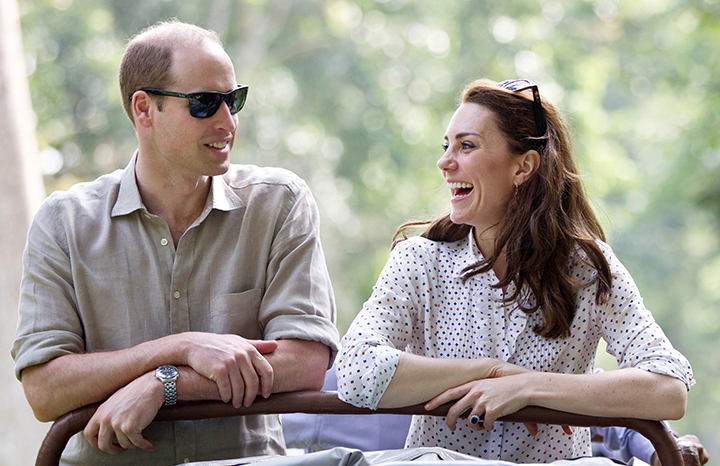 Kate wore this lovely ruffled spotty blouse on safari in Kaziranga National Park in Assam - we think her happy smile says it all. Copy her look in this Spotted Frill Blouse (£29.50/6-18) from M&S. It's no surprise that this elegant Topshop dress sold out within minutes of the Duchess wearing it. But you can still find a decent replica - we love this Paisley Print Flutter Sleeve Swing Dress (£25/8-18) from M&S.